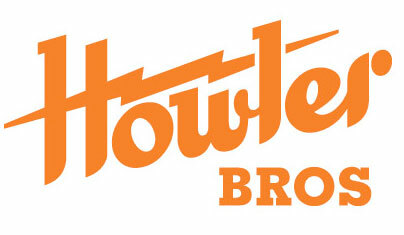 Howler use their Select T’s as the canvas for classic Howler designs and original creations. 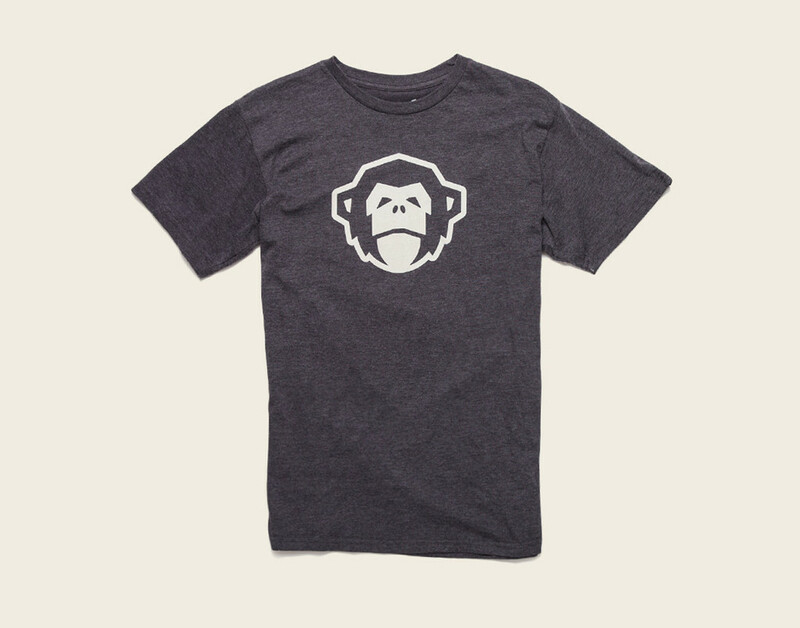 The Select T’s are slightly slimmer in fit than our Classic T’s and are made of buttery soft cotton-poly blend. 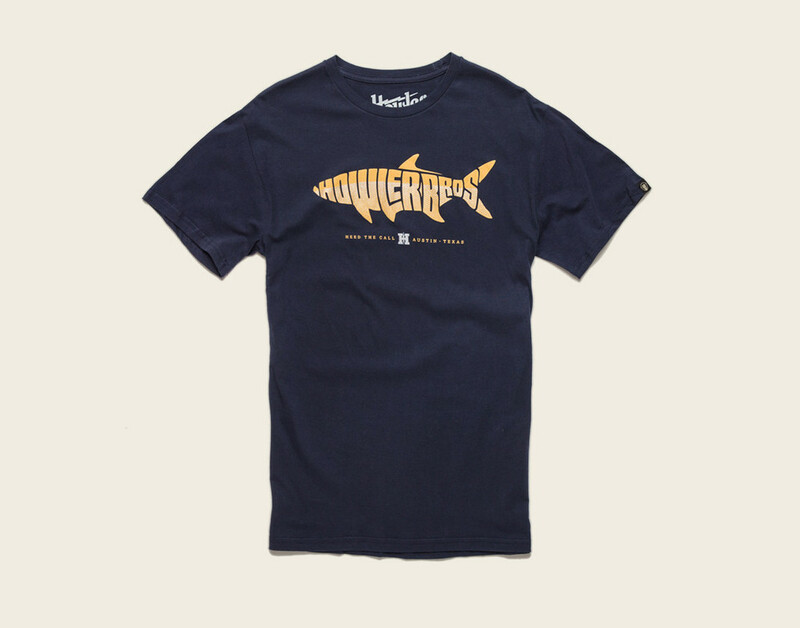 Available in Charcoal Heather. Heed the call of the Howler mesh back. It's not too high and not too low making it the perfect topper for all your good days. The mesh back is fully adjustable with a glare-cutting navy under brim. Howler monkey icon tag on the back left. Hook and loop closure. Howler Bros set out to make the perfect all around fishing shirt; one that works on the boat and in your waders but doesn’t make you look like a giant tropical fruit that got into a knife fight when you go get a beer on dry land. 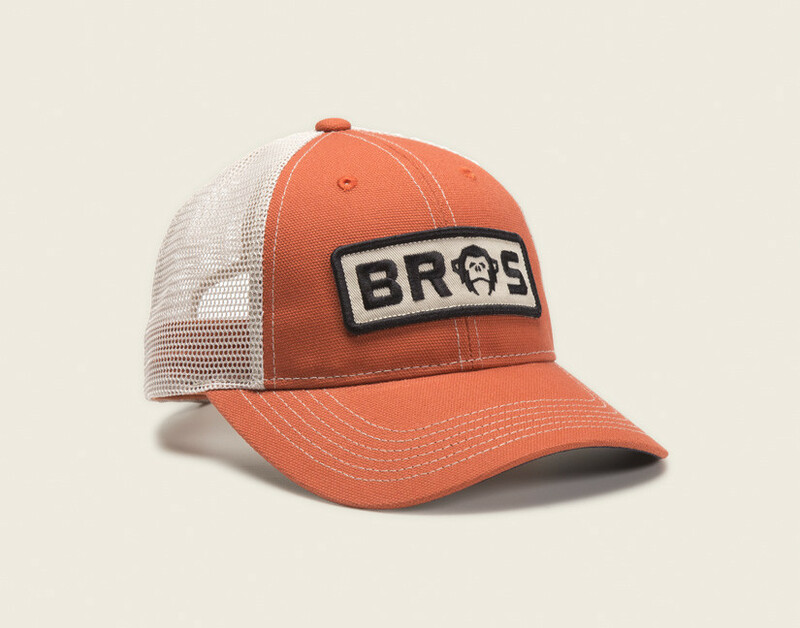 So, they kept it simple and made ours out of quick drying poly-nylon blend that provides all day UPF 15 protection, with hidden pockets under the mesh-lined vented front yokes that are easy to access via pearl snaps. The bottom hem is cut straight and vented on the side and the fit is relaxed for ease of movement. Available in Tyson Plaid Nomotu Blue and Yodeler Plaid Canyon Brown. 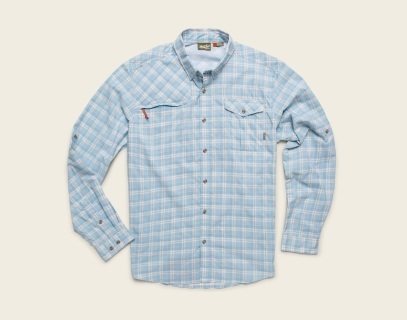 Many technical shirts try to blow your mind with an inexplicable number of tabs, vents, pockets and doo-dads. 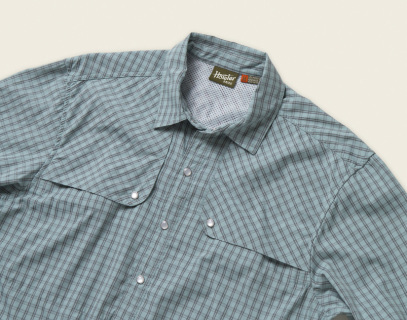 As is the Howler way, they kept their Matagorda Tech Shirt clean and focused on what is most important like a simple pocket configuration so you won’t have to go hunting for your gear even when it’s close at hand, a button-down collar to keep everything calm when the wind gets angry, roll-up sleeve tabs, and a vented rear yoke for air flow. Constructed of light and quick-drying nylon-poly blend with engineered stretch, the Matagorda is the perfect companion for travel whether you’re strapping on a backpack, running a boat or riding your beach cruiser.